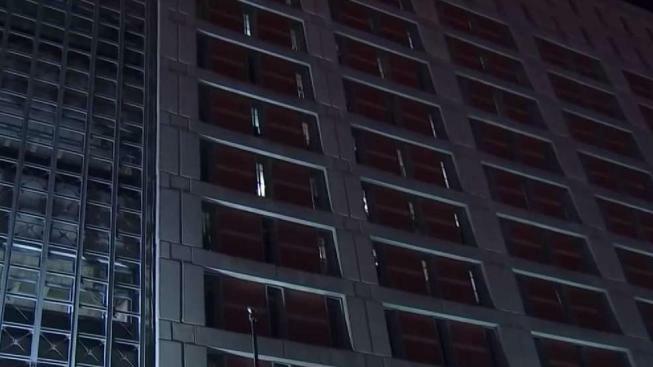 Lights began turning back on Sunday evening at a federal detention center in Brooklyn where inmates had been without power for days. The lights were seen turning on after 6:30 p.m. The inmates have been largely without heat or power for the past week and also haven't been able to communicate with lawyers or loved ones, according to news reports. Mayor de Blasio confirmed the power was back on. "Make no mistake: this took people power," he said in a tweet. "Thank you to the families, activists and officials who fought for the dignity of people inside. More work ahead—let’s keep at it." Earlier Sunday, some demonstrators protesting the lack of heat and electricity tried to enter the facility and witnesses said guards drove them back with pushes, shoves and pepper spray. A reporter and photographer for The Associated Press were at the Metropolitan Detention Center in Brooklyn when a woman, whose son is being detained, tried to get into the jail. Witnesses said officers used significant force to push the people out, with some of those attempting to come in being pushed to the ground. The AP photographer felt some type of spray, and began to have trouble breathing. Those affected were seen washing out their eyes with water or milk. The Bureau of Prisons has acknowledged that the jail "experienced a partial power outage due to a fire in the switch gear room." The bureau had said a new electrical panel is being installed by an outside contractor and work was expected to be completed by Monday. The bureau didn't immediately explain how the lights turned on sooner. The agency insisted that inmates had hot water for showers and sinks, and were getting medications as needed. Gov. Andrew Cuomo called for an investigation of the circumstances of the loss of heat and electricity by the federal Department of Justice, saying the situation was "a violation of human decency and dignity" and also raises "questions of potential violations of law." The Democrat said he wanted answers and those responsible held accountable.